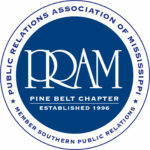 HATTIESBURG – The Pine Belt chapter of the Public Relations Association of Mississippi elected its 2019 board of directors during the chapter’s monthly meeting on Nov. 20. Directors re-elected to their positions include President Joshua Wilson, art and marketing director at Munn Enterprises and Munn Outdoor Advertising; Vice President of Programs Karelia Pitts, manager of communications at the University of Southern Mississippi Foundation; Vice President of Membership April Jordan, marketing and public relations coordinator at USM Campus Recreation; Director of Communication and State Board Representative Ashley Rea, manager of communication at Sanderson Farms; and Past President and Professional Development Chair Matt Martin, creative director for MightyPenguin Design. Returning directors elected to new board positions include Treasurer Marissa Landon, communication specialist at Sanderson Farms; Director of Social Media and Website Will Harvey, outreach marketing coordinator at Southeast Mississippi Rural Health Initiative; Director of Workshop Planning Shuntasia Coleman, public relations coordinator for the Hattiesburg Convention Commission; Community Action Chair Tonya Williams, communications facilitator at Cooperative Energy; and Scholarship Chair Stacy Ahua, director of Volunteer Southeast Mississippi. Newly-elected directors include Secretary Arlicia Jordan, communications specialist for the USM Office of University Communications; Awards Chair Brittney Dykes, communications coordinator for the DuBard School for Language Disorders; Member-at-Large for Programs and Publicity Jennifer Clark, owner of Emerge Events; and Member-at-Large for Awards and Students Amber Sumrall, sales and marketing manager for USM Conference Services. The new board will be installed at the chapter’s January meeting. 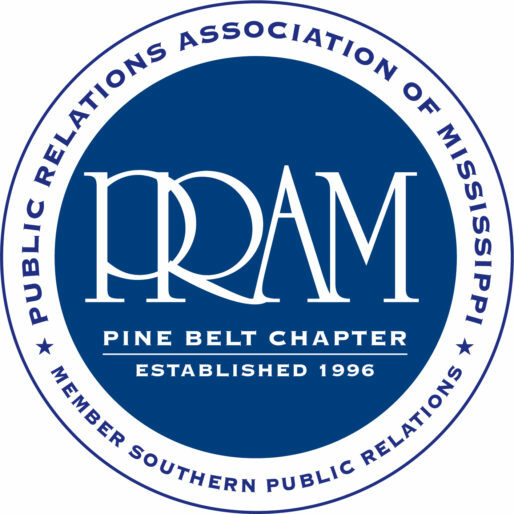 The chapter, established in 1996, provides public relations practitioners and students in the Pine Belt with professional development, networking and recognition opportunities locally, statewide through the parent organization and regionally through the Southern Public Relations Federation. Members meet on the third Tuesday of each month at Conway’s Family Pub in Hattiesburg.